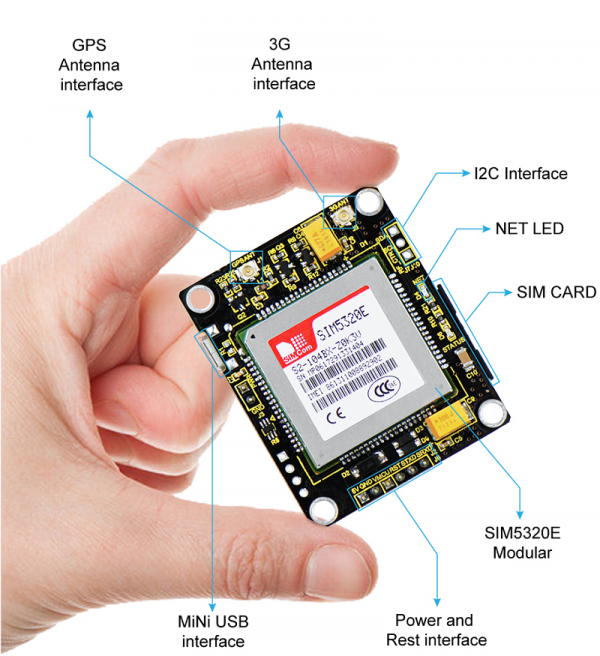 keyestudio SIM5320E 3G module is a mobile phone module, it can be used for GPRS data transmission, supporting both Mobile and Unicom. 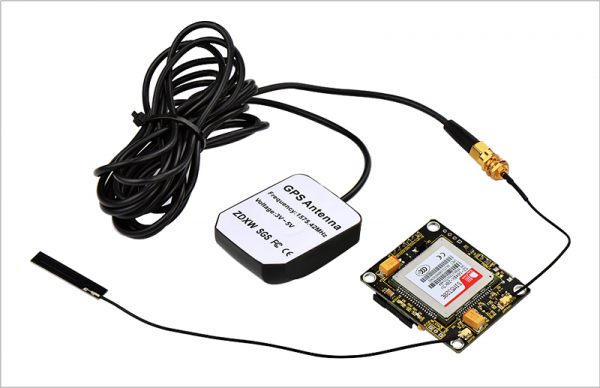 This module has the function of GPS positioning, with the features of powerful functions and less external circuits,etc. When registering the network and RF multi-slot sending,the current consumption peak may reach 2A, which will inevitably lead to voltage sags, so the power system generally requires more than 2A current supply capability. Power Supply: DC 5V 2A or above. Communication Interface: a group of TTL-level serial port, compatible with 5V/3.3V microcontroller; with a USB interface, can be directly connected to the computer debugging. 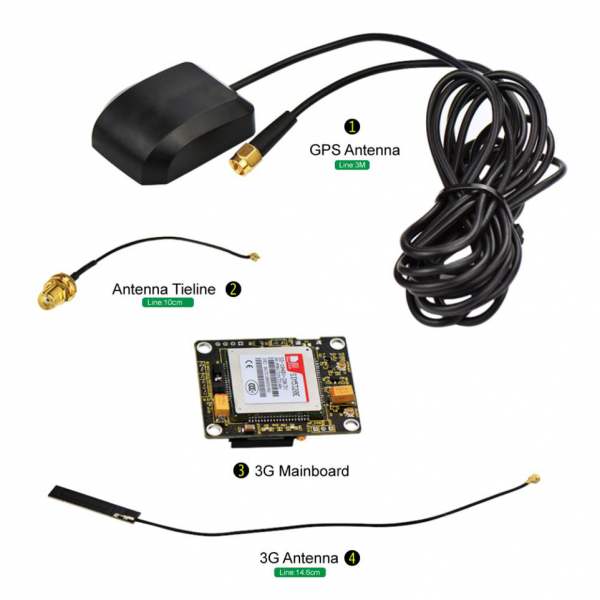 GPS Antenna Interface: a group of IPXmini antenna interface, the default connecting to active GPS antenna. GMS Antenna Interface: a group of IPXmini antenna interface, the default providing PCB antenna. Voice Mike Interface: Lead out, the interface is a 2.54 * 4P single row pin form. Other Interfaces: a group of IIC interfaces, a group of interface can control the module’s opening and closing (the module default self-starting). Indicator LEDs: one LED is used to indicate the working status of the module; another 0603 LED is used to indicate the network status. 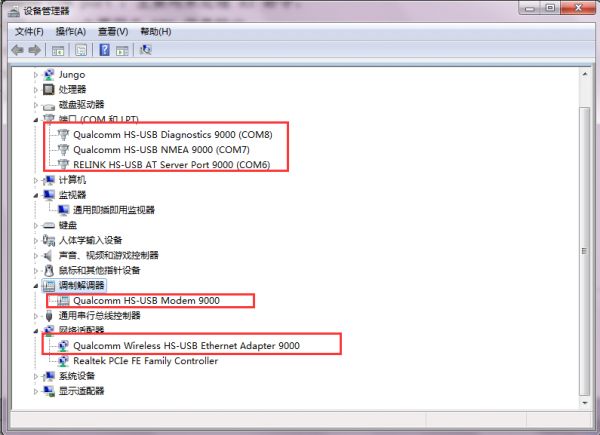 5、Connecting to MICRO USB interface. USB Modem COM port：used to dial-up networking. AT command COM port：used to process AT command. NMEA COM port：used for GPS information output. Diagnostics COM port：used for debugging, grab the log information of module. ttyUSB4 Wireless Ethernet Adapter interface. Set up well as the above figure, then open the serial port, in the string text field input AT, click Send, it will show AT OK. It means that the communication between the computer and the module is normal. Before using the GPS function, you should first check whether the GPS function is enabled by using the AT command, or directly open the GPS function. Use AT + CGPS =1, getting feedback OK, as shown below, you can view the corresponding information through GPS software. Select COM port like , set baud rate to 115200. Setting well, open the serial port, you can see the related information about current positioning, including latitude, longitude, elevation and other information, as shown below. 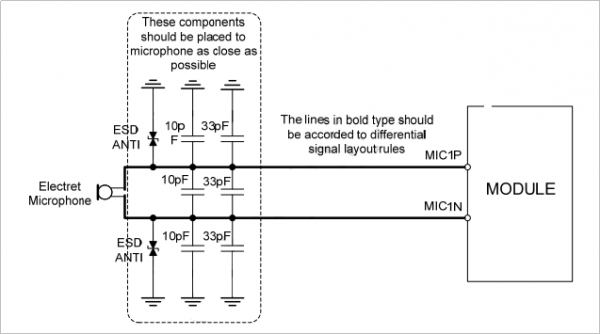 1、First,on the J9 of module, connect speakers to SPKM and SPKP, connect MIC to MICN and MICP. 2、Connect to serial module via the serial port on J2, J6. RX pin is connected to STXD, TX to SRXD, GND to GND. Or directly connect to the computer via USB cable, then set the baud rate 115200, open the serial port, , you can use the AT command. 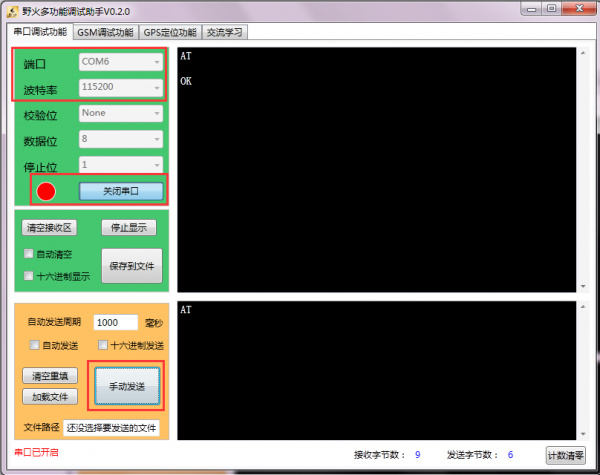 1> After registering the network, first pass the AT command AT + CSDVC = 3,0 (open SIM5320E speakerphone function). Specific settings please refer to AT command introduction. 4> ATD32523094; / / make a call, the semicolon can not be less. Before building TCP/IP connection, confirm the module has been registered the network and attach GPRS network. //only support IP address, not supporting domain name. >12345// The content is sent automatically for 5 bytes. If less than 5 bytes, the module will wait. Extra 5 bytes, its back bytes are automatically discarded. //Do not specify a fixed length. //send this command if need to close the connection. //9000 is local port, generally not need to be changed. //revise as server’s IP address, the second parameter is 5, fixedly sending 5 bytes. //The second parameter is empty, it needs to send a hexadecimal 1A after sending the content. The following examples are for reference only, more details please refer to the official SIM5320 instruction file. +CPIN: READY // inquiry whether SIM card is ready well. +CSQ: 14,99 // inquiry signal strength. Generally, registering WCDMA network, CSQ value is relatively low,which is mainly related to the coverage of the local WCDMA network. AT+AUTOCSQ=1,1 // Setting URC reports when CSQ changes. when rssi changes, it will make a URC report. +CNMP: 2 //Query network select mode. Default auto mode, the preferred WCDMA network. If the WCDMA network is weak or no network, it automatically selects the GSM network. OK // Check the registered network status and distinguish module registered WCDMA or GSM network.If the network is not registered for a long time after starting up, please check whether has set the pin code or AT + CFUN parameter. +CFUN: 4 // if not 1, please reset AT+CFUN=1. OK // get the network time after registration. AT+CHTPUPDATE // update the time via HTP protocol. inquiry the storage capacity of short message inside SIM. +CPMS: "SM",0,30,"SM",0,30,"SM",0,30 // For ordinary SIM card, it is recommended to check regularly. when the message storage is full, SMS_FULL will be prompted once receiving new message. It can still receive SMS after deleting some messages. HELLO // new message is directly print on serial port, not stored in SIM card. delete the message from SIM card after reading it. text mode to send English message. AT+CSCS="GSM" // define the character set as GSM format. send the message in Chinese under the text mode. PDU mode to send the short message. Before building TCP/IP connection, first confirm the module has been registered the network and attach GPRS network. 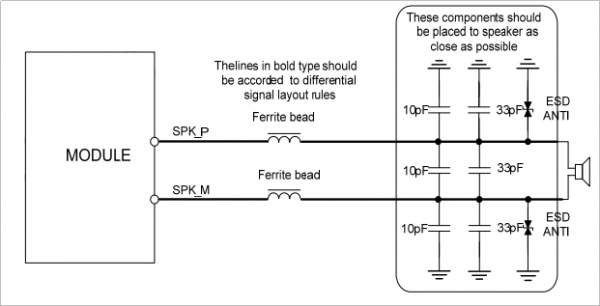 AT+CPCMREG=1 // control PCM data to output from diagnostics port. OK // output Audio data from diagnostics port. input timeout!receiving task exit! //if execute AT+CRXFILE="tupian.jpg"
File transfer has not been carried out, the module will report overtime tips. No AT commands will respond in the process of file transfer until the file transfer is complete. Note [April6]: it still has send file. until PC side file transfer finished, continue to operate AT command. AT+CMMSDOWN="file",0,"tupian.jpg" //directly select the image inside storage module. OK // inquiry whether the module has been registered to network. AT+CFTPPUTFILE="csq.txt",0 //upload the csq.txt file inside module to FTP server. OK // ok to wait the file upload. +CFTPPUTFILE: 0 // return to“0”,means upload successfully. 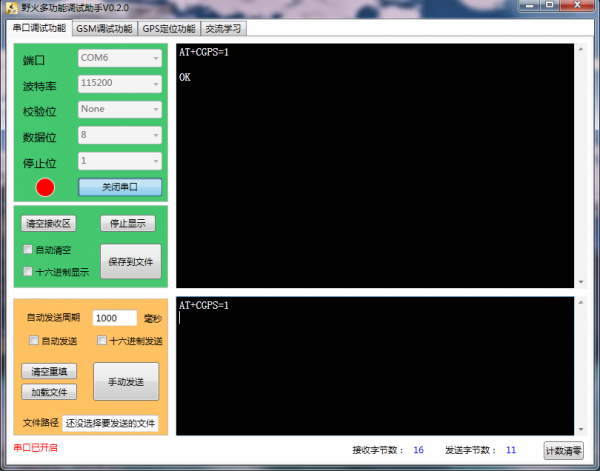 AT+CFTPPUT="t.txt" // upload the data to FTP server, and the data is directly input in the serial port. +CFTPPUT: BEGIN // return to“BEGIN”to start inputting the data. Download the file from FTP server to module terminal. AT+CFTPGETFILE="csq.txt",0 //directly download the file to module inside. +CFTPGETFILE: 0 // return to“0”,means downloading successfully. AT+CFTPGET="t.txt" // directly print the download file content on the serial port to display the data. +CFTPGET: 0 // return to“0”, means download successfully. This page was last edited on 24 April 2019, at 15:13.